Easy to install, clean, and use. 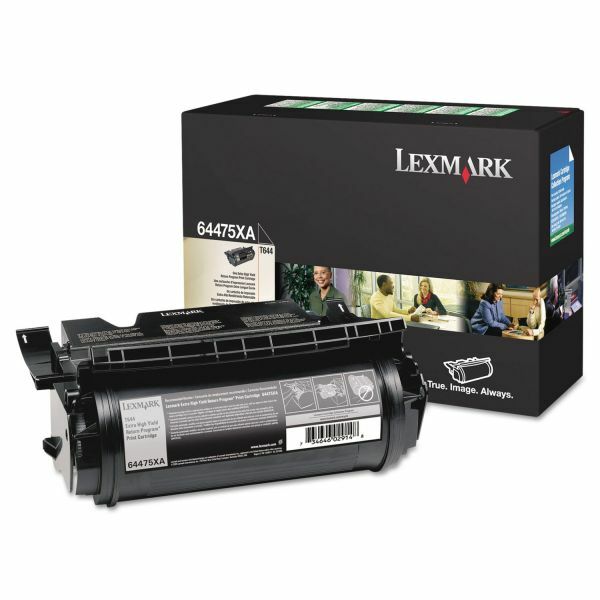 Lexmark 64475XA Toner, 55000 Page-Yield, Black - Extra high yield printer toner is designed for use with Lexmark T644. 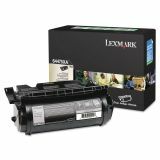 Lexmark Return Program Cartridges are sold at a discount versus the prices of regular cartridges in exchange for the customer's agreement to use the cartridge only once and return it only to Lexmark for remanufacturing or recycling. Yields 32,000 pages.